Softfleck sweater, $69.99 at Madewell. 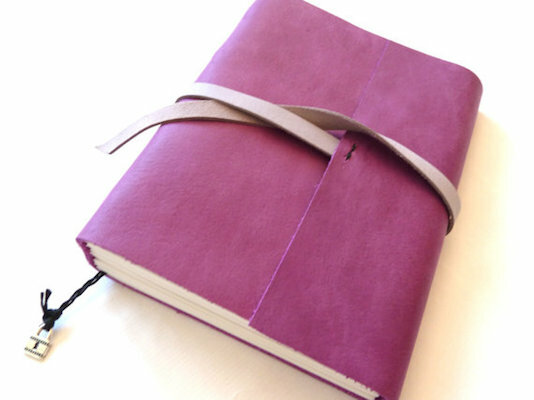 Personalized leather journal in purple, $45 at Etsy. Midi skirt with pocket detail in ponte, $50.82 at ASOS. 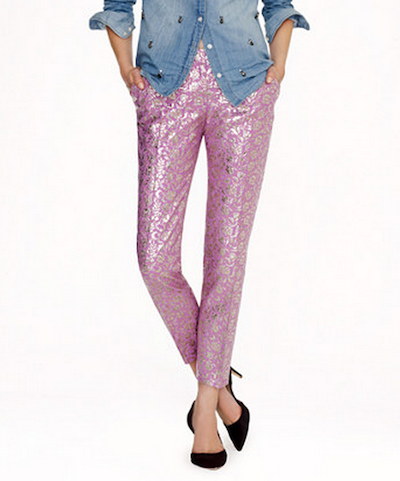 Rag & Bone violet jean leggings, $102 at Stylebop. Collection cafe capri in gilded jacquard, $149.99 at J. Crew. Diane von Furstenburg Atira dress, $262.50 at Bloomingdale’s. 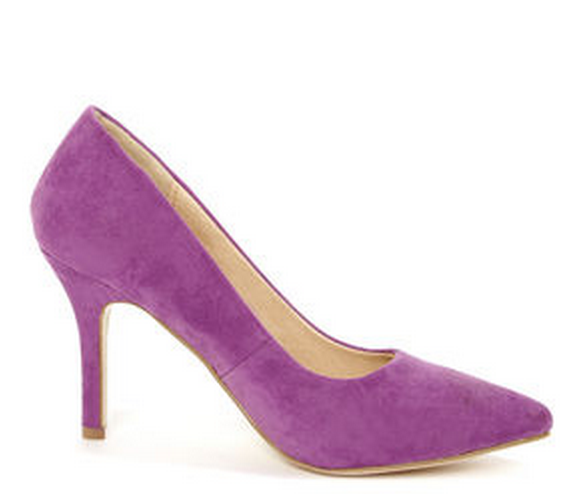 Karla 5 light purple suede pointed heels, $27 at LuLu’s. Estee Lauder pure nail color in lilac leather, $20 at Cusp. 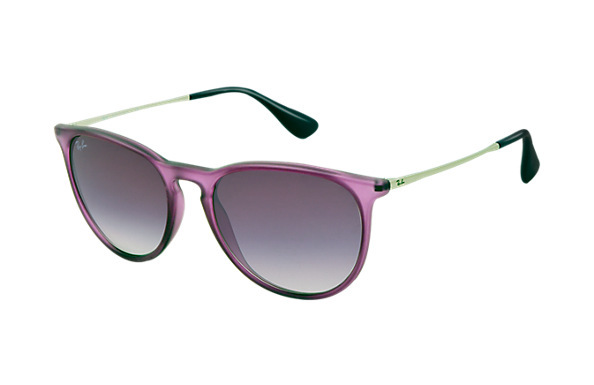 Erika sunglasses in violet gradient, $115 at Ray Ban. Orchid metallic linen women’s classic slippers, $58 at Toms. 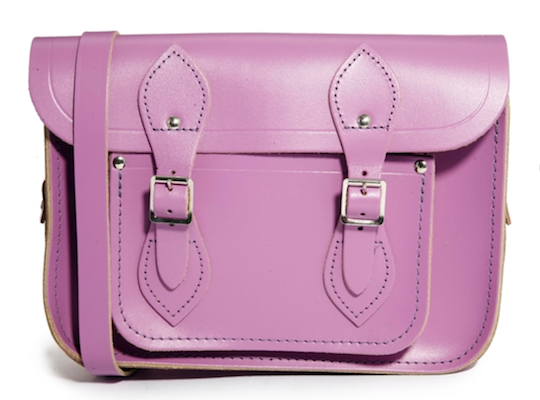 Cambridge Satchel Co. 11-inch leather lavendar satchel, $146.10 at ASOS. 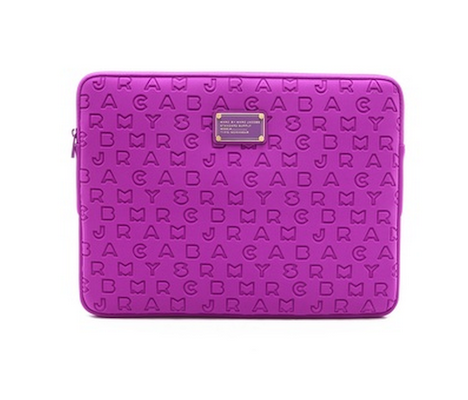 Marc by Marc Jacobs dreamy neoprene 15-inch computer sleeve, $68 at Shopbop. 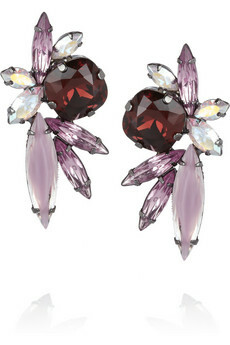 Elizabeth Cole hematite-plated Swarovski crystal earrings in lilac, $75.40 at The Outnet. 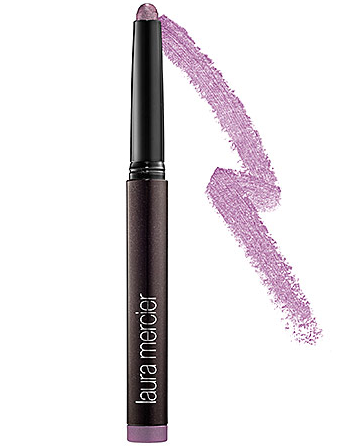 Laura Mercier caviar stick eye colour in orchid-lavendar shimmer, $26 at Sephora. 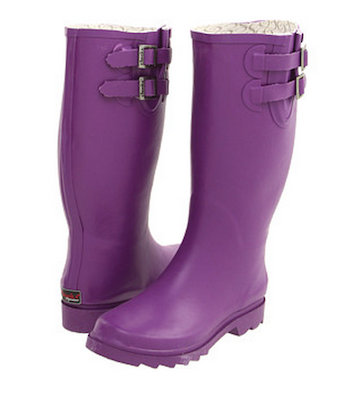 Chooka premium solid rainboots in eggplant, $15.99 (a steal!) at 6pm. 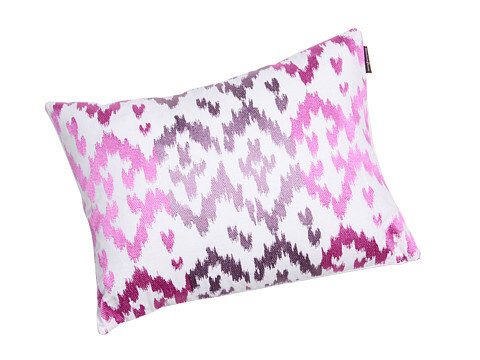 Blissliving Home Ikat orchid pillow, $49.99 at Zappos. 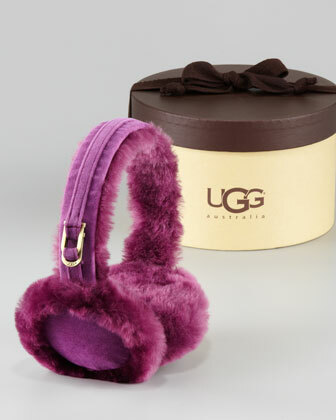 Ugg Australia boxed shearling earmuffs in sugarplum, $69 at Neiman Marcus. 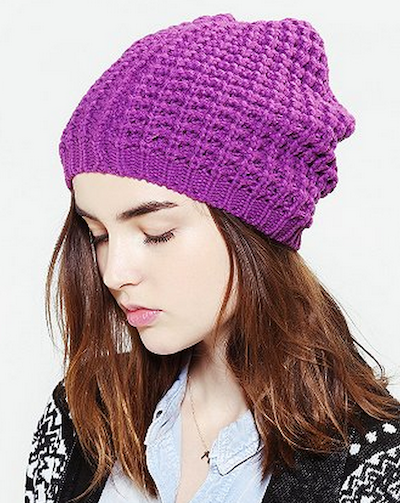 Lovestory waffle beanie, $19 at Urban Outfitters. 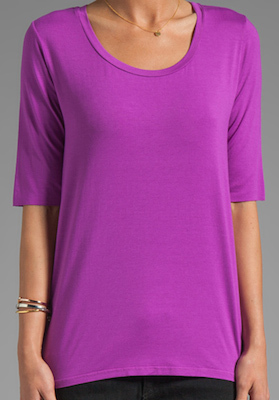 Feel the Piece boyfriend tee, $51 at Revolve Clothing. 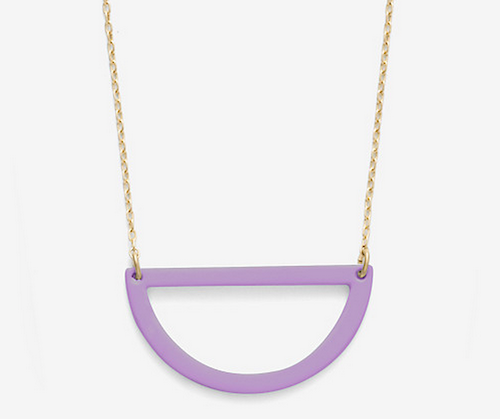 Cut-out half circle necklace in smokey lavendar, $40 at Kate Spade Saturday. 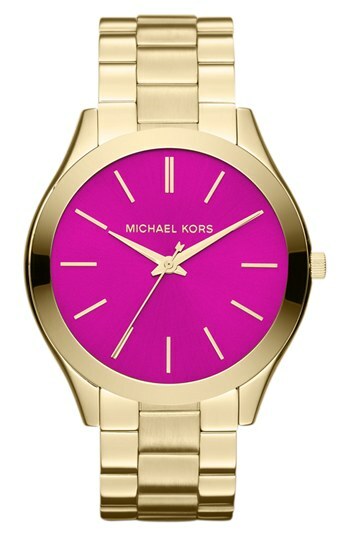 Michael Kors slim runway bracelet watch, $180 at Nordstrom. Organic autumn arrow orchid tights, $20 at Pact.